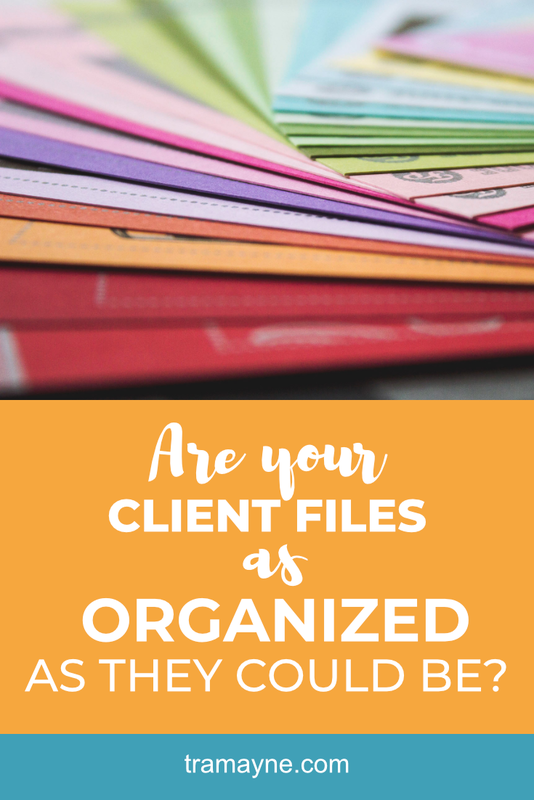 Are your client files as organized as they could be? - Selena Tramayne, Ph.D.
Are your client files as organized as they could be? Do you hate even the idea of systems? Back when I was a freelance web designer during grad school, I had to come up with a way to keep my client files organized. I’ve used a modified version of it as a business coach because it's important to never waste time looking for files. Searching for files is probably the #1 silent time waster for coaches. I bet it wastes HOURS of your time EVERY single week without you even realizing it! So I thought I’d share my digital filing system with you in hopes that it will help get your own files organized. Naming it this way allows me to sort easily. This also helps keep things sorted nicely. This is where I keep all the documents I share with clients. Since I’m a business coach that specializes in helping other coaches, I’ll often share playbooks (standard operating procedures), checklists, templates, tutorials, contracts, and other reference materials with them. Instead of sharing my original doc, I share copies because I can tweak it to fit the client's particular business. And it helps me keep track of what I’ve shared. These are the documents that clients have shared with me. It can be anything from copy they want me to look at, to their ideal client avatar description, to screen grabs of ideas they’d like to share. If it comes from the client, it goes in here. To make it easy on myself, I have a template file folder that I copy for each new client. Then all I have to do is change the names of the folders to match the correct date and client name. Easy peasy. Imagine never having to dig through old projects in different places. It’s all there by client and date. It will save you a ton of time (and by extension, money). Side note: I keep these files and folders in Google Drive, so if a client asks me to resend a file, all I have to do is send the link to the file. And if you have any great tips to share on how you set up your files systems, please share with us below. I’d love to read them! I’m always looking to improve my systems. Selena Tramayne, Ph.D. is the founder of The Tramayne Group, which provides programs and coaching services to benefit new and emerging coaches. She runs online masterminds and group coaching, as well as provides one-on-one consulting to amazing coaches who want to take their business to the next level. When not working in and on her business, she can be found hiking, mountain biking, and going on bliss walks near her home in Albuquerque, New Mexico. © 2019. All Rights Reserved. The Tramayne Group. Privacy + Terms.